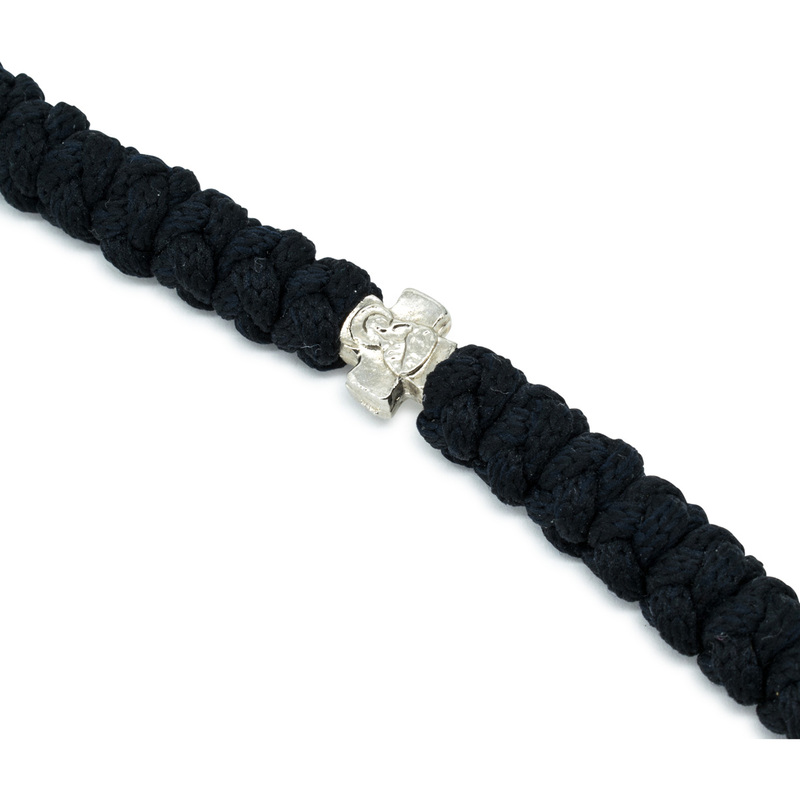 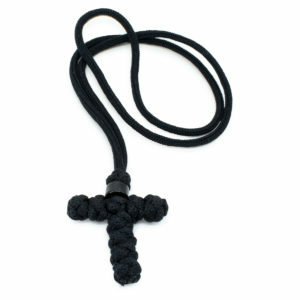 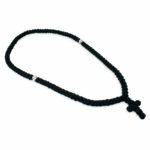 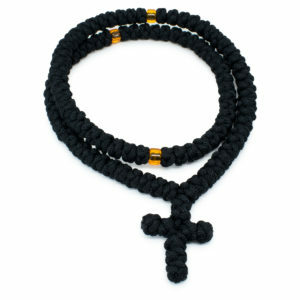 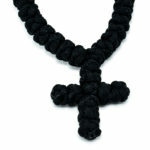 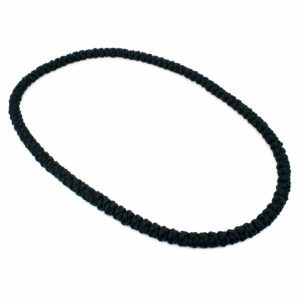 Wonderful 100 knot black prayer rope necklace with metal divider cross beads. 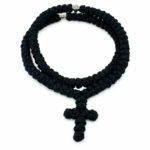 The divider cross beads have the Holy Virgin Mary depicted on them. 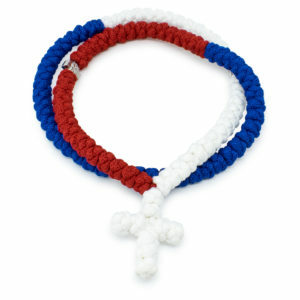 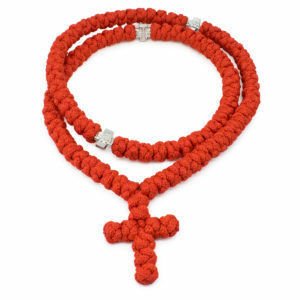 This meticulously handmade traditional prayer rope necklace is made with tradition in mind.